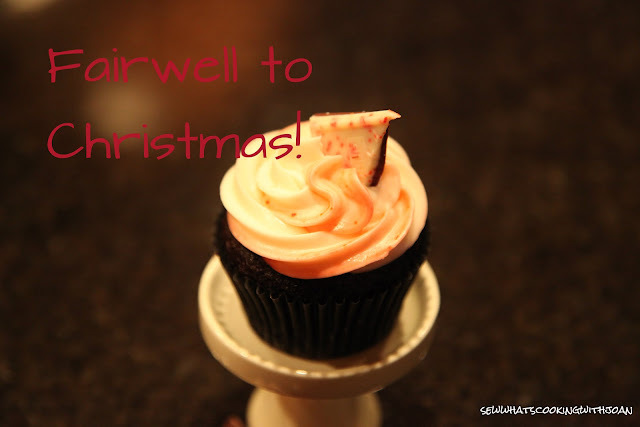 As a final hora to Christmas sweets I made these cupcakes to share for Christmas dinner dessert. One of my favorite bloggers (www.glorioustreats.com) made these for her husband to take into the office. I wanted to make them a bit more chocolatey so I added some bittersweet chocolate chips to the batter. 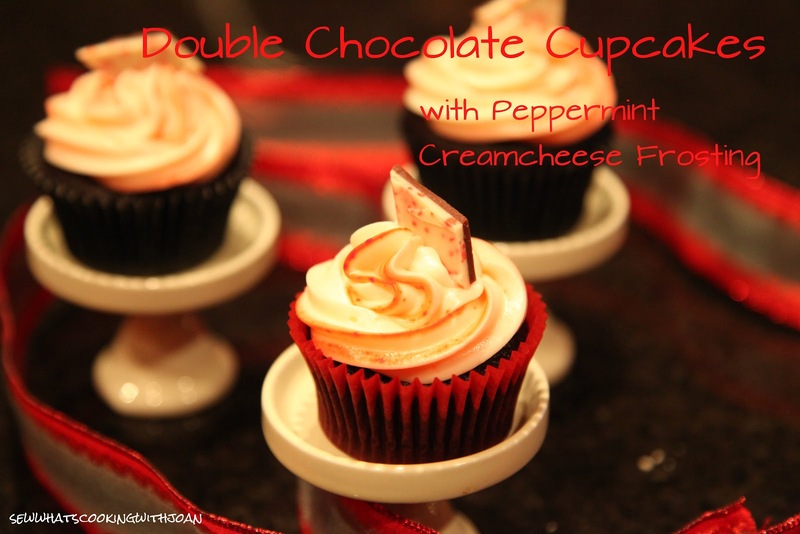 I had also received a bar of the Ghirardelli peppermint bark so I chopped that up and used as garnish on top of these little cakes. 2. In a large mixing bowl stir together sugar, flour, cocoa, baking powder, baking soda and salt. 3. Add the eggs, milk, oil and vanilla and beat on medium speed for 1 minute. 5. Fill paper liners 2/3 full with the batter. I have a batter dispenser but I have also put the batter in a large glass measuring cup with a spout and poured into the lines that way. Less of a mess! 6. Bake cupcakes for 22-24 minutes. 7. Cool completely on a wire rack before frosting. 1. Place butter in a large mixing bowl and blend slightly. Add cream cheese and blend until combined, about 30 seconds. 2. Add powdered sugar (a little at a time) and blend on low speed until combined. Increase to medium speed and beat until it begins to get fluffy. 4. Slowly add the heavy cream, a little bit at a time until desired consistency is met. 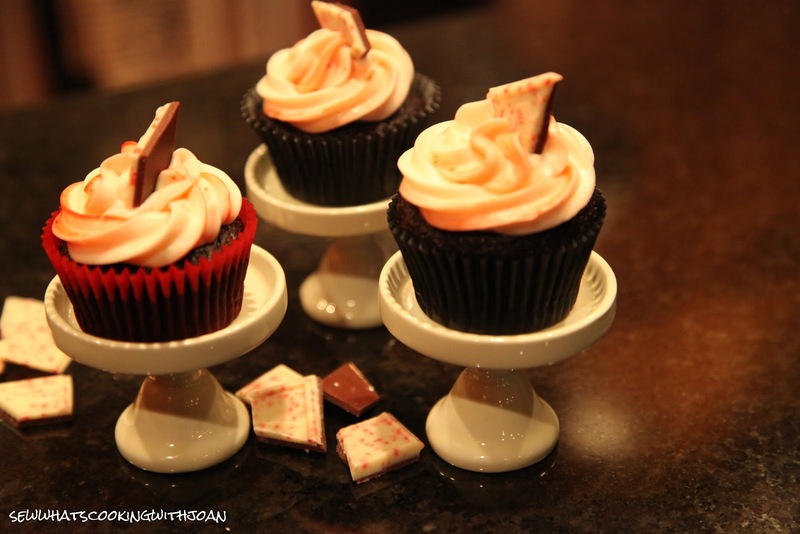 -Don't add too much if you want the frosting to stay in place when you pipe it onto the cupcake. 6. Use at once or keep refrigerated. To achieve the red stripe in the frosting: Before you fill a piping bag with frosting, take some red coloring gel on a toothpick and draw a vertical line on each side of the piping bag (inside). Fill the bag with the frosting and pipe a little out of the bag until you see the red color mix with the frosting. Peppermint settles the stomach after a big meal. They look absolutely delicious!